It’s games like Firewall Zero Hour that many people have been clamouring for since PSVR’s launch nearly 2 years ago and it’s games like this that will attract VR to a more casual audience looking for comparative flat screen titles like Call of Duty and Rainbow Six. As far comparisons go, Firewall Zero Hour plays like the Rainbow Six series of games, only on a smaller scale, but offers what is probably the most intense tactical shooter ever made, if only because of the headset you are playing in. Defending or attacking that laptop is your main objective! With 2 controller options available, DS4 or Aim, anyone can jump in and play this…with that said, Firewall was obviously made with Aim as THE controller to use and if you have it, I wouldn’t even bother with the DS4. I would liken the Aim controls to Farpoint or Arizona Sunshine with the thumb sticks controlling your movement while the rest of the buttons perform standard actions like crouching, reloading and tossing grenades. Aiming down the sights feels great though the gun is a little lower in your hands then it is displayed which I’m assuming was done to not have the PS camera confuse the lights on your headset with the Aim light. I personally had zero issue with this and it felt perfectly fine to me. I did run into the issue of my gun drifting during gameplay but found the solution by lowering the camera to around 3′ high pointing up. 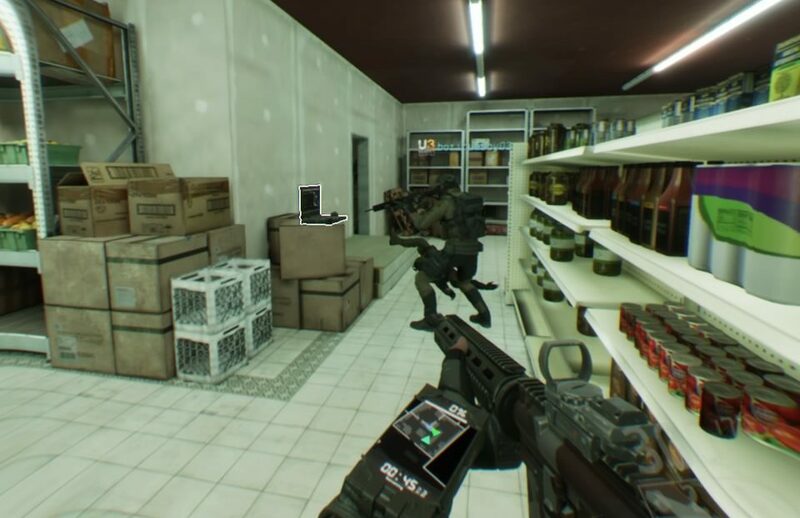 Due to that camera adjustment, I was forced to play standing which isn’t bad at all as you play as a standing member of a tactical unit but for those that wish to sit, maybe expect to adjust your camera or surroundings a bit to account for the PSVR’s sometimes finicky tracking. 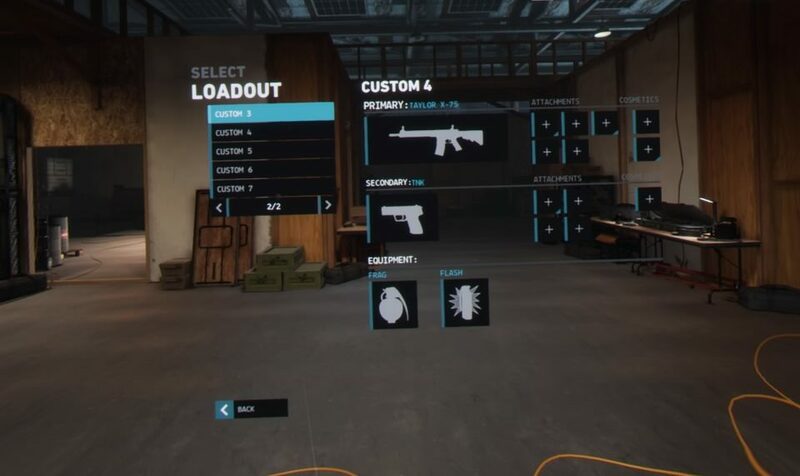 There is currently only one mode in Firewall, Search and Destroy, which pits 2 teams of 4 in a quest to either kill each other or complete a defence or offensive objective. Defending has your team tasked with protecting a laptop from the encroaching team and if you decide to, the 2 access points that keep the firewall up, protecting the computer from being hacked. The offensive team must destroy the nodes and hack the computer. The game ends when either team completes their objective or kills all 4 members of the other team, you only get one life so make it count. It’s a great mode and is some of the most intense and fun gameplay I have ever experienced in my life. Talking with your teammates is key which means full mic support allowing you to stay in communication and coordinate with your cohorts. There is a level up and upgrade system in place as well as custom loadouts, unlocked at level 4, ensuring that those who invest the time will be rewarding themselves with more sweet sweet equipment and perks. Prior to the game you can chat up your team mates in the lobby. BTW these 3 guys are good! Firewall Zero Hour looks great…for a PSVR game. What I mean by that is that this is not your 4K TV image, nor is this game from a giant studio with infinite funds going in to make the most ‘realistic’ sim ever so comparing this to a non-VR franchise like Rainbow 6 is unfair. With that said, First Contact has done something amazing here in regard to the visuals with the 9 stages available all have their unique flare and whether you are a warehouse, hotel, ship yard or any of the other scenarios, they all feel and look authentic. Even better then the environment is the character models, which move and look very natural during gameplay, a feat that seems to be very hard to pull of in VR. 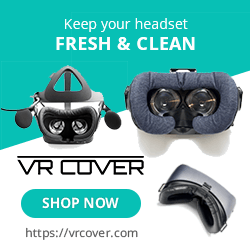 Due to the lower resolution of the headsets, there does seem to be a filter over the visuals giving everything a slightly foggy look so those venturing into the headset for the 1st time may be taken aback by this effect. Don’t worry about, just start the game and soon enough your eyes will adjust and you’ll be having a great time. Sound is also great and more then just a simple distraction. Typical actiony music plays during the menus but once in-game it’s all about chat. 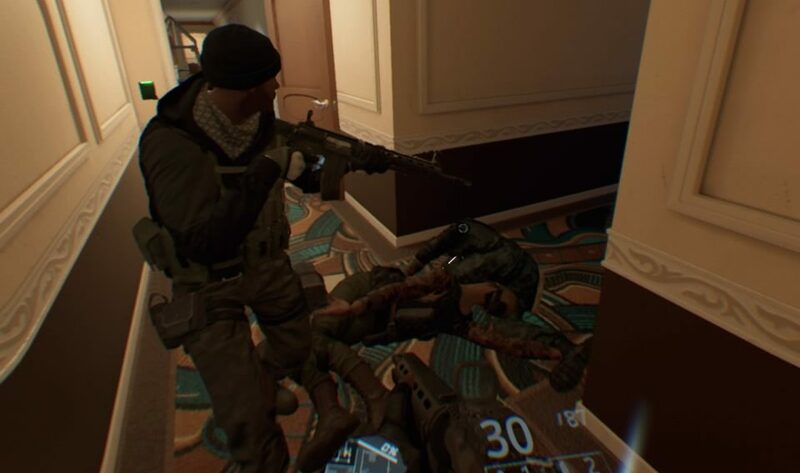 What makes this interesting is that enemies can hear your movements, and you them if you come close to each other so it’s best to pat attention and listen for the opening of doors and footsteps. Explosions pop, and your guns all sound as they should making this game one of the most immersive shooters out there. Once you start unlocking items and perks, you can start creating your ideal soldier. There is a brief tutorial included here, as well private matches where you can play with friends in unranked battles, or just try your luck on your own and see how long you can last against the very unrelenting, but dumb, AI. The level up and loot system in place involves a fair bit of grinding before you start unlocking some of the cooler items available. Experience comes easy enough if you win but losing only gives you a sixth of the experience so winning is the better option(duh!). Experience unlocks levels, perks and weapons but you need to spend crypto, the games currency, to make those weapons available in your loadouts, and they ain’t cheap. I understand the need to keep players engaged beyond just the game, but the system feels somewhat imbalanced and the sense that you are progressing begins to get lost as you level up. Still, when you do start acquiring skills and new weapons, it’s an absolute blast to see how they affect the game. Most perks are modifiers to basic stats like more ammo, or increased health but more advanced one’s spice things up with greater bonuses like increased knife damage or faster hacking that could change up the way you play. There are 12 different player types available, each with a standard ability and 20 skills to choose from assuming you spend enough time here to unlock them. You move slow in this game; the jog button only speeds you up to quick walk making this way more of a tactical shooter then a run and gun Call of Duty type game. Trust me when I say that this is a non-issue as it forces you to not only stay close to your teammates, who can heal you if your downed, but keeps the tension high as you know the enemy is methodically advancing on your position as well. A much more pressing issue is the matchmaking process which needs to be addressed ASAP! Playing by yourself is a near flawless experience, just hit the “contracts” (online) option and you find a game in seconds. Partying up is a bit more of a process as the icon to invite is a teeny tiny square up in the menu’s corner. Once you invite people, you are placed in your own private lobby and if you want to play custom matches then there are no issues. Should you try and find a game with less then 4 people in your squad and the game can’t find a server to fit your team, the game will split your team, kicking out the players it couldn’t fit. In a squad-based game this is a huge oversight that needs to be addressed. 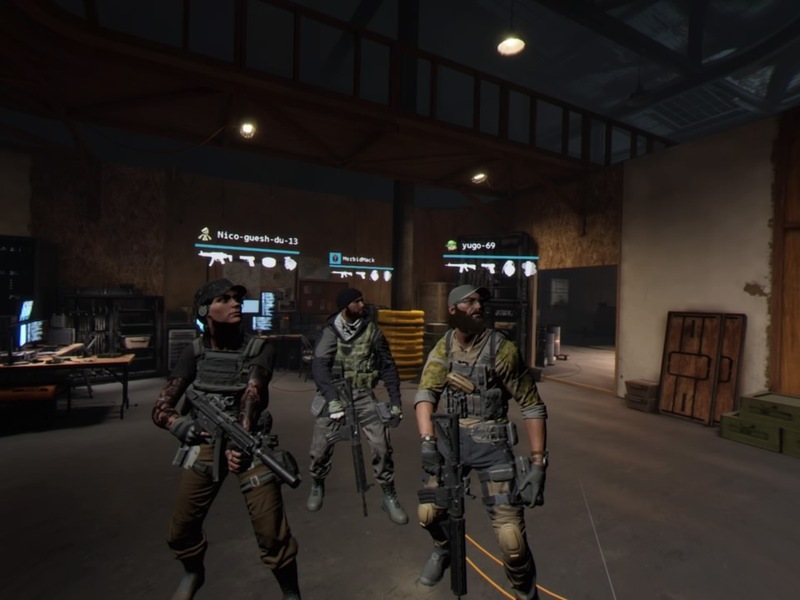 If the games host leaves or disconnects, all the remaining players get kicked as well, which doesn’t happen a tonne, but when it happens, you’ll be back at the main menu, forcing you to collect your squad mates and try to join a match again. Nothing spells success like the corpses of your enemies! 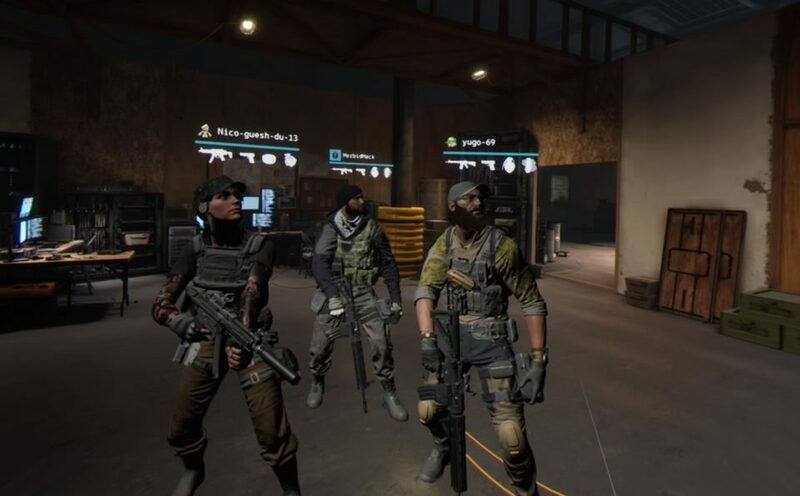 Firewall Zero Hour, despite the issues I mentioned above, is still some of the most fun I have had in VR and more importantly, online in VR. With more modes (apparently) coming down the road this should have some legs and once you figure out just how tactical this game actually gets, knowing your role and coordinating with a skilled team is enthralling. This is an amazing use of the Aim controller and it’s easy to lose hours in this if you find yourself a solid team who communicates and works together. What would I pay? We PSVR owners have been waiting for a game like this since launch and now that’s it’s here, and damned good, it should be supported. $40 is an easy ask, even with the lacking matchmaking and game type options and even as I write this, I can’t wait to get back in the game! 4 vs 4 tactical shooting action!